With almost 20 years of experience I’ve come to realize that there’s a need for more than just one pair of glasses that’s why you get three pairs of glasses for the price of one! That’s right you pay for one frame one set of lenses and the other two frames and the other two sets of lenses are free of charge. This allows you to have your regular glasses, sunglasses, contacts, progressives, bifocals, reading glasses, computer glasses, sports Frames, safety frame, swimming goggles you name it. With an in-house lab to cut the lenses and full-time optician we can make your glasses in an hour, with two optometrist on site you can book a full eye exam allowing us to take care of you from beginning to end. After over 30 years, Bateman MacKay LLP is dedicated to assist our entrepreneurial clients from start up, to growing into mature businesses, preserving wealth and developing a personalized succession plan. Bateman MacKay LLP is a full service mid-market Chartered Public Accounting firm providing clients with pro-active “Business advice for tomorrow”. Exterior Transformations is your local company specializing in enhancing the exterior curb appeal, function and efficiency of your home. From discussing the overall concept, creating a design and budget to completing the work, we will take great care in ensuring all details are done to your satisfaction. We specialize in windows and doors but know that other elements of your home’s exterior may need special attention to accentuate its best attributes. NTEX DZGN is a firm devoted to making dull and boring spaces come alive—aesthetically and functionally. Our team of skilled interior designers can transform your home or office into an impressive space. We also work with real estate agents, builders, contractors and architects to design comfortable, stylish and entirely original interiors that their clients instantly fall in love with. 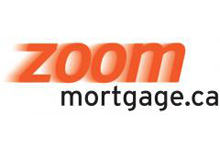 Zoommortgage.ca is a full service mortgage brokerage offering a full suite of mortgage products with expert advice. With over 25 years of experience, we’ve developed a keen understanding of the mortgage market and have earned key relationships with the best mortgage companies in the industry. We not only deal with the big banks but also have dozens of lenders eager to earn your business. Our service is free to you as the bank/lender pays us when your transaction closes. Our mission at The Holst Equation is to help our clients be successful through our unique blend of value added products and services. We offer solutions and assistance for your business start-up, accounting, documents, policies & procedures, financial controllership, and government requirements. 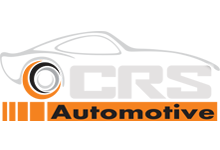 CRS Automotive is a full service vehicle care facility specializing in light and medium duty vehicles and trucks. We have locations in Hamilton and Oakville that are open late, 6 days a week.